With Halloween fast approaching, it makes sense that we've received several very scary questions lately regarding our PharmCAS deadline. I'm in total fear that applicant's aren't reading the PharmCAS manual/instructions, which include so many VERY IMPORTANT DETAILS as it relates to being a pharmacy school applicant. Failure to know and understand policies are what nightmares are made of. 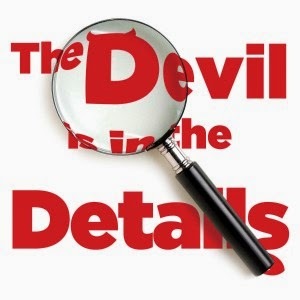 Beware (be aware) of the details. Boo! If I had a magic sorcerer's wand that I could waive at every ghost and goblin applying to ANY pharmacy school, I would require they read the instruction manual before, during, AND after submitting their application. (Third times a charm, they say.) The 70-page manual is very-well organized and can really answer any question an applicant may have. No tricks here, folks, just treats. Do not send this document to the graveyard without reviewing it! The first addresses the issue of email accounts. It's imperative that you check your spam/junk email folders on a VERY REGULAR BASIS. Many email services will read "pharmacy" and automatically label it as spam. (Hello, on-line pharmacies! Viagra, anyone?) 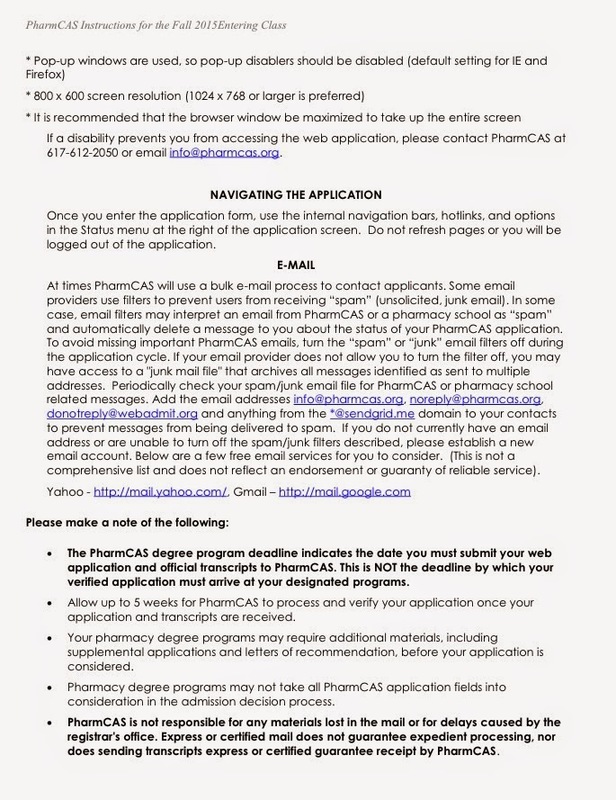 PharmCAS suggests you add several email addresses to your contacts or "safe-sender" list. This is a step you can take to improve the chances that important emails make it to your inbox. Again, always check spam/junk folders. There can be a spooky silence if emails are being directed to an un-checked spam folder. Yikes! 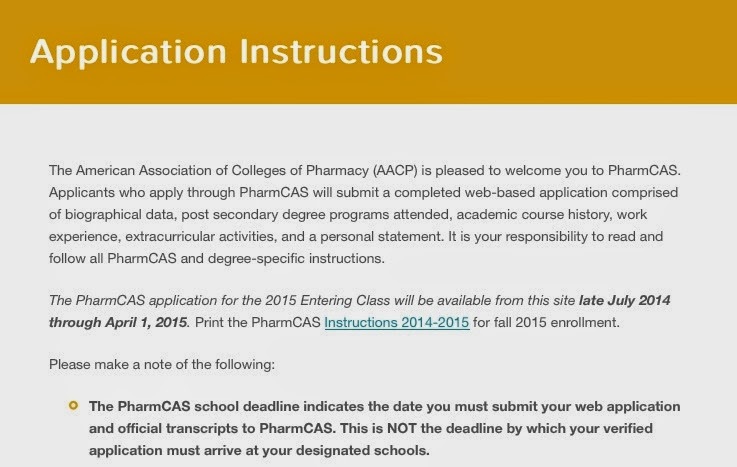 The second issue focuses on the PharmCAS deadline date. This is such an important piece of information, you don't even have to read the manual, as it's featured prominently on the landing page. Have a wicked, safe, and Happy Halloween, you little devil!